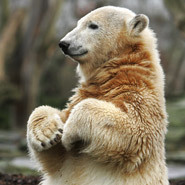 Sad News About Knut's Family! A spokeswoman for Berlin police said Thomas Doerflein was dead when authorities arrived at the apartment and that they had no information on the cause of death. Doerflein was 44 years old. This makes me very sad indeed. Knut the knootist polar bear turned one on December 5. He's gotten, um, bigger and a bit less white. 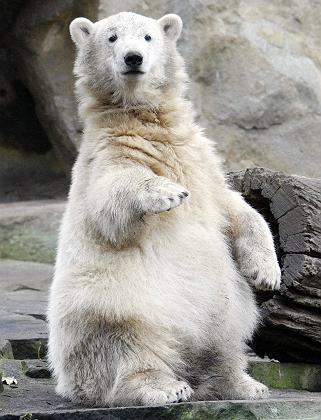 But he's still my favorite polar bear. 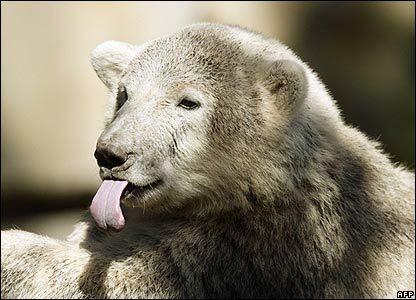 Apparently his mother is preggers again so Knut might get some siblings. Let's hope he doesn't eat them.